Cecil Banks was born on September 19th, 1925 in Fancy Gap, Virginia. He came from a large family and was 1 out of 14 children. Not much is known about his enlistment, but it is known he spent time at Fort George G. Meade in Maryland between November and December 1943. Then Cecil went to Fort McClellan in Alabama from December 1943 to May 1944. He then went to Fort George G. Meade again and from here he went to France, and started fighting the war. Cecil became a member of Company A, 60th Infantry Regiment of the 9th Infantry Division. It is known that Cecil was awarded the Combat Infantry Badge on September 27th, 1944. 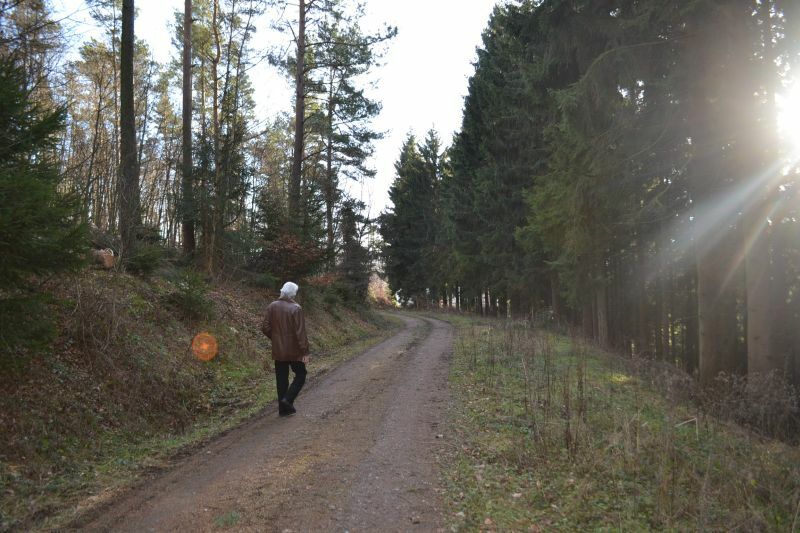 This places Cecil in the middle of the Battle of the Hurtgen Forest. Company A was part of the first attack on the town of Schmidt as well. This attack started on the 6th of October, 1944. The mission of the 60th Infantry Regiment was to advance to Richelskaul south of Germeter, then move south towards the road junction near Raffelsbrand, take it, cut the main 399 Road, and push further towards the town of Schmidt from there. However, arriving at the Raffelsbrand road junction, the 60th Infantry Regiment met with such heavy enemy resistance in the form of pillboxes, entrenched enemy soldiers, mortar, artillery and heavy machine gun fire that they could not advance. For days the different Companies were stuck, only gaining several yards of ground. On October 12th, 1944, Company A was located just south of the Raffelsbrand junction. A small group of men went on a reconnaissance patrol, including Staff Sergeant Banks and Private Joe Garcia. Their mission was to recon the area and go to a point about 300 yards south east of their current location. The men moved out, crossed the main 399 road, and advanced about 250 yards. Here they were fired upon. According to Private Alfred S. Knowles, one of the men that survived this recon patrol, they were being fired at by sniper guns. He witnessed Cecil Banks getting hit by sniper fire, and tried three times to crawl up to him to help him. The fire of the snipers was too heavy and he did not manage to get to him and had to pull back. Private Knowles had no idea what happened to Cecil after this. The recon patrol of A Company, 60th Infantry Regiment must have moved on the right side along this path when they were fired upon some yards further. It was on this 12th day of October 1944 that 19 year old Cecil was last seen alive. He was reported Missing In Action the next day. 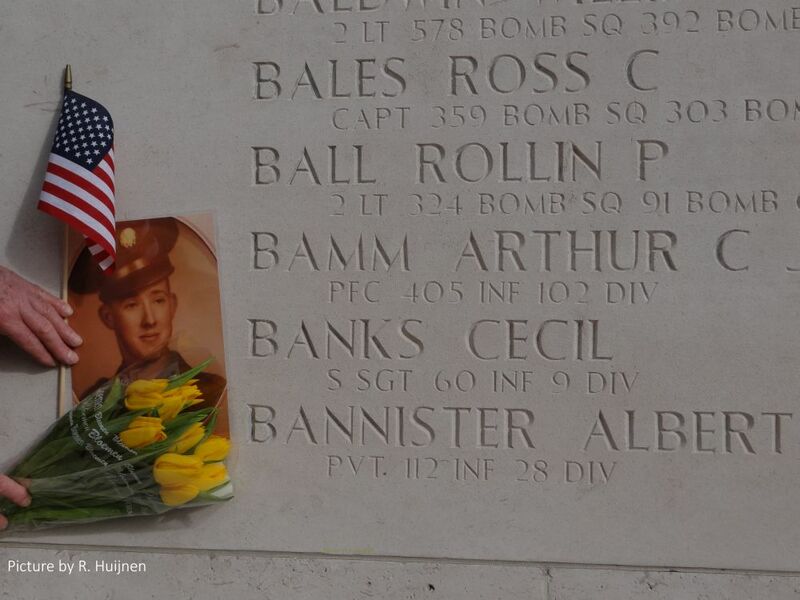 Cecil Banks on the Wall of Missing at the US Cemetery in Margraten, NL. Cecil Banks is mentioned on the Wall of Missing at the US Cemetery in Margraten. 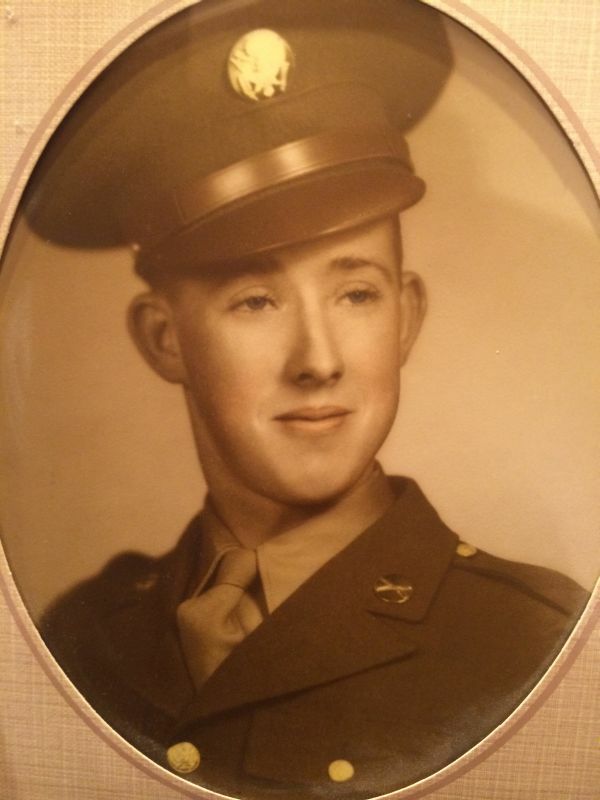 He was awarded the Bronze Star with Oak Leaf Cluster and the Purple Heart with Oak Leaf Cluster. His actions that resulted in our freedom will never be forgotten. His family has hope that some day his remains will be found, and Cecil can be brought home again.